One of the most discussed topics in our Facebook Support Group (and Grupo Oficial de Apoyo) is phentermine and coffee, or phentermine and other caffeinated beverages. Did your doctor talk to you about this combination when he or she first prescribed phentermine? It’s a topic that often goes overlooked, but you should be informed about know how your medication interacts with this common pick-me-up. 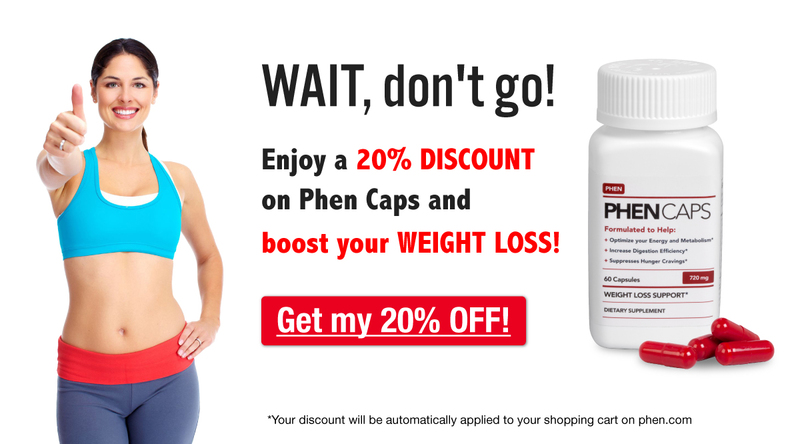 Due to the weight loss pills’ stimulant properties, it’s not advisable to combine phentermine with caffeine. So, here we’ll talk about phentermine and coffee, tea, soda & energy drinks, plus what you can drink instead! How Much Caffeine Is In Phentermine 37.5? Many people know that you shouldn’t combine phentermine and coffee, so it’s natural to wonder exactly how much caffeine is in phentermine 37.5. The answer? None! Phentermine does NOT contain any caffeine. So why does this medication give you such a noticeable rush of energy? It comes from the medication’s active ingredient: phentermine hydrochloride (phentermine HCL). Phentermine HCL is a sympathomimetic substance that has a chemical structure comparable to amphetamines. It works by stimulating your central nervous system to give an “upper” effect similar to a “fight or flight” response. This prolonged state of simulated stress is the reason you experience less hunger and more phentermine energy while taking the weight loss pills. It is, however, also why doctor’s encourage patients to limit or eliminate caffeine consumption. Caffeine is a more mild, but still effective, stimulant. It is contained in drinks, food, supplements and remains largely unregulated. Like phentermine energy, caffeine energy is a product of central nervous system stimulation. Since your brain is already receiving plenty of outside stimulation from the weight loss medication, drinking your normal morning coffee (or tea or soda or Red Bull) while taking phentermine can easily lead to an overload of external energy. Did you know that 54% of American adults drink coffee every day, and that we drink an average of over 3 cups per day? Most of us (65%) have our cup of joe with breakfast, while a little under a third drink it as a snack between meals. These statistics from the Harvard School of Public Health help explain why it’s so hard when your doctor tells you to give up coffee while taking a medication. Due to the “upper” effect of both substances, and the potential for negative interactions, most doctors recommend that you skip the daily caffeine jolt during your phentermine treatment. As CNS stimulants, both phentermine and coffee (specifically caffeine) raise blood pressure, accelerate heart rate and can produce insomnia. Doctors recommend against the combination of these two substances because of the increased risk for serious side effects. That being said, most phentermine patients report that they can tolerate a small amount of caffeine – equivalent to about one cup of coffee per day – without any noticeable reaction. If you love your morning coffee and can’t fathom giving it up, speak to your doctor before combining phentermine and coffee (or any other caffeinated substance). He or she can best asses the advisability of combining phentermine and coffee during your treatment, and help you work out an individualized plan. The same advice goes for combining specific brands of phentermine and coffee (e.g. Duromine and coffee, or Adipex and coffee). Tea is a popular substitute for coffee, especially when you’re trying to cut down on caffeine. Fruit and herbal teas – including popular flavors like mint, chamomile, cinnamon and ginger – contain zero caffeine. Rooibos tea doesn’t have any caffeine either. These drinks get their flavor from the simple infusion of plants in hot water so they’re also calorie-free! Given those promising qualities, fruit, herbal and rooibos teas are great options if you’re craving a hot drink and hoping to avoid caffeine. However, not all teas are caffeine-free. Black tea, green tea, white tea and oolong tea all come from the Camellia Sinesis plant, and they all contain caffeine. More specifically, each cup of these teas has about 25-50mg of caffeine. That’s still less than the typical 60-165mg contained in an 8oz cup of brewed coffee, but not at all insignificant. If you’re switching to tea to avoid phentermine and coffee, make sure you’re keeping your caffeine in-check! Not too worried about phentermine and coffee, but still clinging to your Diet Coke habit? Unfortunately, the soda has caffeine too. Eight ounces of cola contains 24-46mg of caffeine. Interestingly, classic Coke contains 34mg of caffeine while Diet Coke contains 46mg per can… and caffeine content varies country-to-country. Clear sodas and root beer, however, are naturally caffeine-free. If you’re unsure about the caffeine in your favorite drink, check out the individual can/bottle and see for yourself! That being said, if you’re cutting caffeine due to all the extra phentermine energy, it may be better to stick with completely caffeine-free options. They now make caffeine-free colas and Dr. Pepper, so you don’t have to give up your dark-colored sodas if you’re not a fan of clear sodas or root beer. Better still, use your time on phentermine to build some healthy habits! Try to slowly switch from soda to water or unsweetened tea. Energy drinks are something you should avoid entirely while taking phentermine. These super-charged drinks are the last thing you need when your body is already in overdrive due to phentermine energy. The amount of caffeine contained in energy drinks varies from brand-to-brand, but most 16oz servings contain 160mg of caffeine. This includes popular brands like Monster, Red Bull (80mg in 8oz), NOS, Rockstar and AMP. Across the industry, caffeine content ranges from 50mg (Bai Antioxidant Infusion) to 357mg (Bang Energy) per serving. At these levels, energy drinks contain more caffeine per can than most cups of coffee and should not be consumed while taking phentermine. Even more, most energy drinks are super high in sugar. For example, classic Rockstar contains 62g of sugar per can (16oz) while Red Bull has 27g of the sweet stuff per serving (8.3oz). Just like soda, they make sugar-free versions of these drinks, but most experts agree that water or unsweetened tea are the much healthier options. What Can You Drink While Taking Phentermine? To learn a little more about why each of those options is preferable over phentermine and coffee, and how to prepare them, keep reading! Water is the most convenient, cheapest and most nutritious beverage to drink while taking phentermine, and in general! Naturally calorie-free and hydrating, quenching your thirst with water is a healthy habit that helps you lose weight and maintain weight loss. It’s also free and widely-available, so no excuse to not drink water. Aim for at least 8 glasses of water (or another calories-free, caffeine-free beverage) per day to stay hydrated on phentermine. As we mentioned above, there are several varieties of tea that are naturally caffeine-free. Some flavors of tea that contain zero caffeine include: apple cinnamon, chamomile, cinnamon, cranberry, ginger, lemon/lemon ginger, lemongrass, mint, orange, peach, rooibos (aka redbush tea) and vanilla. Most tea boxes are also marked with caffeine content so you can double-check before you purchase your new flavor of tea! Most major coffee chains (including Starbucks) also offer caffeine-free herbal tea options if you’d rather grab your drink on the go. For the healthiest drink, enjoy your tea straight – no added milk or sugar. If you choose to sweeten your tea, take care to do so in moderation. Tea and coffee companies also produce decaffeinated versions of their traditionally caffeinated beverages. These drinks still contain an average of 2-5mg of caffeine per cup so they’re not caffeine-free, but they are much lower in caffeine. If you love your daily cup of coffee or tea, switch to the decaffeinated version while taking phentermine. Still, limit yourself to 1-2 cups per day since even small amounts of caffeine can add up. If you’re more likely to grab a coffee on the road, keep in mind that commercial decaf coffee tends to be a little higher in caffeine. For example, a tall (12oz) Decaf Pike’s Place Roast from Starbucks has a whole 20mg of caffeine – far from caffeine-free! On the other hand, Dukin Donuts offers a small (10oz) Decaf Coffee with only 7mg of caffeine, as well as a small Decaf Latte with less than 5mg of caffeine. So, if you’re really craving a latte, check out Dunkin’s decaf latte. Just be careful to order it with skim milk and go for unflavored/unsweetened to avoid the hundreds of extra calories in milk fat and sugary syrup. Infusions are very similar to teas, but often steep for longer and use a larger amount of the plant or herb. It’s common to come across infusions of ginger, lemon, berries and various herbs. If you want to keep a refreshing, flavored drink at home, try infusing a pitcher of water in your fridge! Fill the container with water, and then add flavorings to your liking. Let it sit overnight and you’ll have some delicious, calorie-free water in the morning! Common cold infusions include strawberry (or citrus) mint, cucumber mint and watermelon basil. Ginger lemon is a popular warm infusion. Dairy sometimes gets a bad rap in the weight loss community, and it’s widely under-consumed by young adults – especially young women. According to recent surveys, 99% of American adults do not consume the recommended 2.5-3 servings of dairy on a daily basis! Milk is a great source of hydration, calcium, vitamins A and D, and protein. If you’re lactose intolerant or vegan, fortified plant milks (e.g. soy milk, almond milk, etc.) can replace this food group and help you get the essential nutrients. So, having a couple of glasses of skim milk or plant milk each day proves a healthy, beneficial choice for both phentermine weight loss and overall health! Sugar-free drinks can prove a promising substitute if you just don’t like the taste of plain water or tea. If you’re in the mood for something chilled, single-serving powder packets make any bottle of water into a 5-calorie juice drink in just seconds. Many dieters take a liking to these super low calorie, flavorful drinks and revel in the wide variety of available flavors. While taking phentermine, make sure to stick to traditional Crystal Light (or similar). Some powdered juice products – including Crystal Light Energy, Sunrise and tea products – contain varying amounts of caffeine. If you’d prefer a warmer drink, try sugar-free or “no sugar added” hot chocolate.These diet hot chocolates are much lower in calories and will make you feel spoiled without breaking your diet. Hot chocolate does contain a very small amount of caffeine (about 5mg) due to chocolate’s natural caffeine content, so enjoy this chocolatey treat as a healthy sweet treat or special extravagance instead of your everyday beverage. As you can see, even though coffee and phentermine don’t make the ideal combination, there are plenty of delicious drinks (both hot & cold) that you can enjoy while taking this medication! Do you drink coffee while taking phentermine? If you gave it up during your treatment, what do you drink instead? Share with us in the comments section below!